While there are many options for kitchen countertops, the most popular choice right now is natural stone. There are several options including granite, marble, soapstone, quartzite, travertine, limestone, onyx and more. By far, the most popular of these options are marble, granite, and soapstone. Marble is a popular choice because of its natural beauty, strength, and durability. Marble forms naturally beneath the surface of the earth when limestone is exposed to extreme heat and pressure. The calcite in the limestone recrystallizes as it is subjected to the extreme temperatures and pressures causing the stone to become harder. This process of formation and hardening makes marble an ideal surface for kitchen countertops. The veining, caused by impurities in the stone, makes each piece unique and beautiful in its own natural way. Granite is also a natural stone that is formed beneath the surface of the earth. It is an igneous stone, made up of mostly quartz, feldspar, and bits of mica. It comes in a multitude of colors ranging from white to black with many variations in between. Because of the minerals which make up the granite, it is incredibly durable, heat resistant, and rarely requires any sealing or regular maintenance. It offers one of the lowest maintenance options in countertop materials. Soapstone is a third option that seems to be very popular currently. 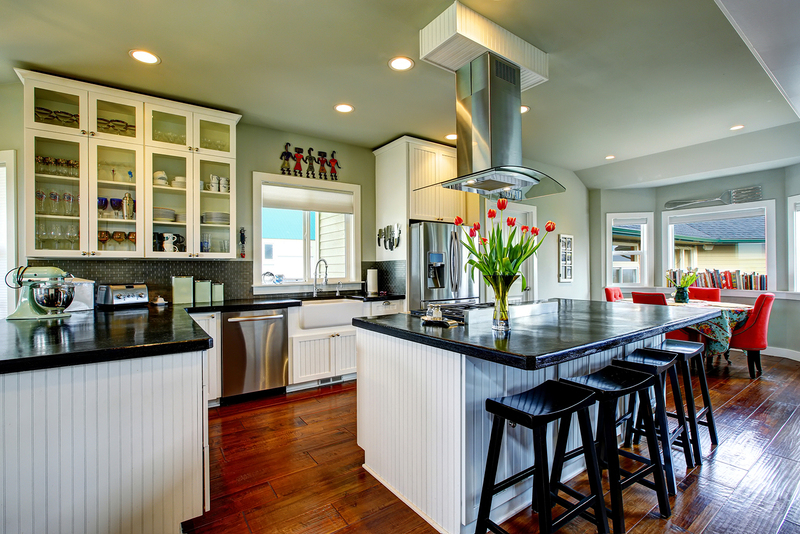 Soapstone is heat proof, will not stain, and requires no maintenance. Many homeowners opt to treat their soapstone with mineral oil to bring out more of the natural beauty of the stone, but it is not necessary. Soapstone is naturally a light gray color, but when treated with mineral oil will become darker, enhancing its natural beauty. There are many options when it comes to choosing kitchen countertops. The most important thing is to decide what you like and which stone will fit your household needs the best.